We get it, sometimes you just have to save a few coins here and there. Luckily, we’ve found a slew of great brands that lend a lot of style, while still staying on budget. Especially when summer’s just around the corner and you might be saving to splurge on your next big vacation. 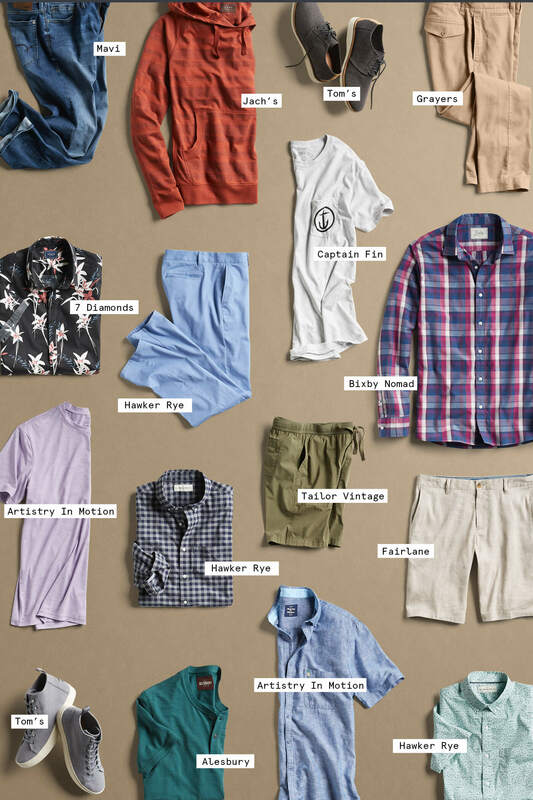 Get to know the brands that clock in under $100 here at Stitch Fix Men. Classic, effortless and very cool. Stock up on super soft garment dyed tees, long sleeves and hoodies for every season. If you haven’t guessed it by the name, Captain Fin has its roots in the coastal culture of Southern California. Expect to see graphic and patterned tees and short sleeve button-ups. Looking to add some funk to your style without getting too out there? 7 Diamonds has the kind of shirts that can go straight from a laidback day at the office to happy hour. Have you always wished that you could wear a Hawaiian tee that (dare we say it) looks cool? Artistry in Motion has you covered—from lightweight linen to flamingo print short sleeve button-ups, just pair their shirts with your favorite pair of shorts or jeans. Just no flip-flops too. Seriously. Every man needs a good pair of jeans. From light wash to dark wash, raw-like wash to distressed, Mavi is one of our favorite under $100 denim brands in our closet. When the weather’s heating up, you have to keep your cool in a trusty pair of shorts. Or, maybe you’re the type of guy who wears shorts all year round. We all know the one-for-one movement that Tom’s started with their slip-on shoes, which has since expanded into mid-top sneakers (that look like boots) and slip-ons that are perfect for the beach. Get walking! Athletic and a little urban—that’s Saucony in a nutshell. Pair these sneakers with your gym look or with joggers for a light walk to the coffee shop. Ahoy mateys! Boat shoes and sneakers for under $100? That way, you can spend more time tuning up your boat or on a cold beer by the sea. Ready to try one of these under $100 brands from Stitch Fix Men? Just tell your Stylist & don’t forget to update your price preferences.